There's more to this than lovehandles. “An American in Taipei” may not have the glamour of a visit to Paris but it definitely has more snakes. David Dzubay, who usually holes up in Bloomington, Indiana, found himself in Snake Alley in Taiwan one night; the whole macabre scene is recreated in dazzling orchestral terms on his latest CD and is sure to enhance one’s virility. That may be as well because the theme of “American Midlife” is one of political and personal crossroads and this country could use all the direction and strength it can get. Turning forty and getting a divorce or being two-hundred+ and acting out our homeland insecurity, it’s all going to end in tears if we don’t buckle up and get down to business. How did we get here? Taking a look back at Perotin and the mediaeval beginnings of western harmony in “Shadow Dance”, and ancient Egypt, with Ra’s journey across the sky, we get a glimpse of Dzubay’s deep roots. “…As Filaments of Memory Spin…” is a fitting conclusion to the program; inspired by T’ai Chi we get back our breath, a little balance, and move on, come what may. 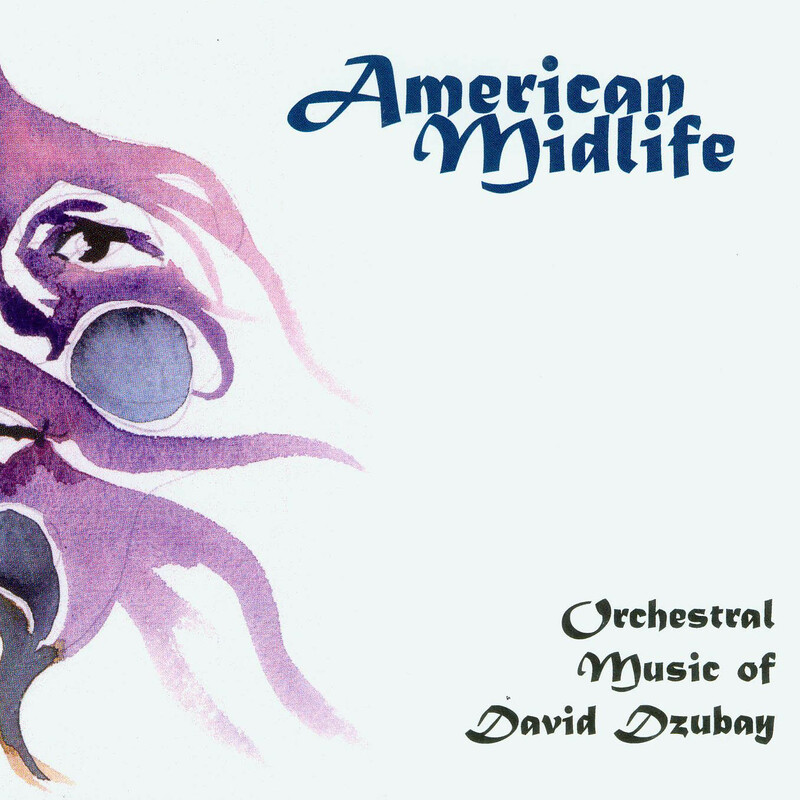 In his somewhat confessional notes for his 2004 clarinet concerto, American Midlife, Indiana School of Music-based composer David Dzubay says that he wrote this music "during the year I turned forty while trying to save a failed marriage." Innova's new recording of it features his wife Tasha Dzubay as the clarinet soloist, so one can only hope for the best! Divided into three movements Present, Past and Future—the concerto, much like a real midlife crisis, travels through numerous mood swings. Perhaps it says more about me than the piece, but the movement I most connected with is the second, “Past,” which contrasts a general mood of contemplation with occasional bursts of less stable emotional ground. Midlife indeed. Written in a lyrical, lavishly orchestrated, 20th-century style, the work enchanted listeners from the very first note. ...American Midlife affords many opportunities for expressive cantabile in well-structured phrases, explores the instrument's capabilities with a judicious use of multi-phonics, and plenty of fast, technically challenging passages for the virtuoso within us all. The soloist is often doubled by instruments from the orchestra, creating a pleasing "floating" sensation. Dzubay's piece is great and a welcome and significant contribution to the clarinet repertoire. James Campbell...lived up to his reputation, captivating everyone with a truly artistic interpretation, always supported by his solid technique, which made the difficult passages sound easy. With the help of excellent conducting by Mr. Dzubay, the I.U. Philharmonic Orchestra provided a polished accompaniment, with both an attractive orchestral sound and the precision required for this piece.